Investing.com — The dollar is edging lower early Monday in Europe but holding on to most of the gains it made during Friday’s big risk-off movement in global markets. The weekend may have offered markets the chance to cool down and reflect on Friday’s events, but they have opened in negative mood again. Stock markets and bond yields have plummeted from Japan to Australia and Hong Kong as traders zero in on how 10-year Treasury yields fell below 3-month rates on Friday – a development that has in the past preceded a recession. Volatility among developed market currencies has remained within limits. As of 04:00 AM ET (0800 GMT), the was at $1.1309, down 0.1%, while the British was back at $1.3186, also down a shade from overnight levels. 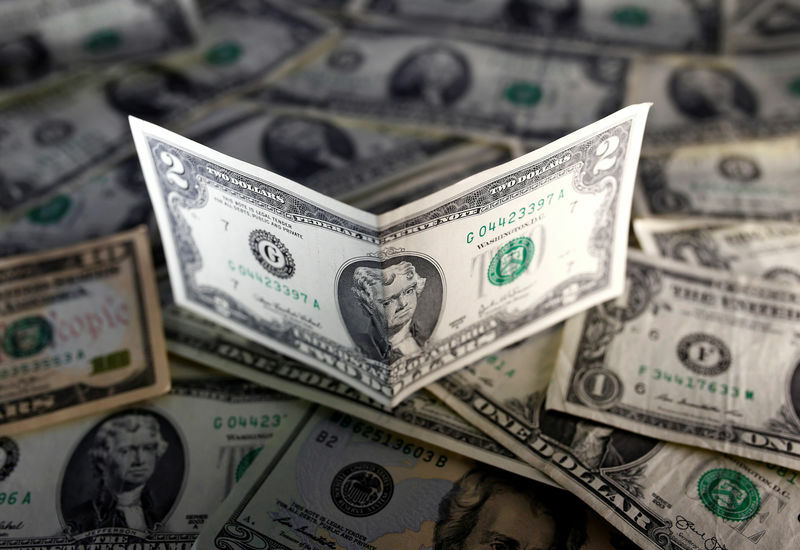 The , which measures the greenback against a basket of six major currencies, was at 96.097, above where it was before the Federal Reserve’s policy announcements last week. Turkey’s lira was also staging a modest bounce after its worst day since last year’s currency crisis, caused by a drop in the central bank’s foreign exchange reserves and made worse by President Recep Tayyip Erdogan’s rebuke of Donald Trump’s call for international recognition of Israel’s control over the Golan Heights in Syria. The was at 5.6515 to the dollar, having fallen through 5.8300 on Friday. The first test of sentiment of the week is due almost immediately, as Germany’s index at 05:00 AM ET (09:00 GMT) will either corroborate last week’s shocking survey from IHS Markit or give some reassurance that things are not so bad after all. The headline index is expected to tick up modestly to 98.7 from its four-year low of 98.5 in February. Elsewhere, the pound is bracing for news of whether Prime Minister Theresa May’s EU Withdrawal Agreement will return to parliament for a third ‘meaningful vote’. It was supported over the weekend by signs of mass popular resistance to a “no-deal” Brexit, but with the deadline pushed back only as far as April 12, the time left for parliament to find an alternative course is running out quickly. U.K. press reports suggested at the weekend that May would be forced to step down by her own party this week, but these were officially denied by the ministers seen as most likely to replace her.